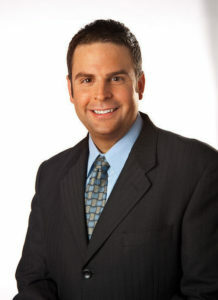 Jack Effel is Vice President of the World Series of Poker (WSOP) for Caesars Interactive Entertainment (CIE). The 2019 WSOP will mark the 13 th consecutive year Jack has overseen the world’s most prestigious poker tournament series. He is responsible for the coordination and execution of the annual WSOP at the Rio in Las Vegas, as well as oversight and support of WSOP branded events across the globe. His poker career began in 1997 and he has held nearly every position in the industry including: dealer, supervisor, manager, tournament director and director of poker operations. Jack’s involvement in tournament poker began in 2000 with the World Poker Open and in 2004 he became a full-time tournament director. In 2005 he joined the World Series of Poker as assistant tournament director after serving in the same capacity at WSOP Circuit Events earlier that year. Jack returned in 2006 as the WSOP co-tournament director and has served as the sole tournament director since 2007. At the WSOP, he is responsible for staffing, event structuring, payout calculations, rule enforcement, and overseeing all tournament operations. Jack is a full-time employee of the Rio, working on WSOP events year-round and overseeing development and execution of international poker operations. He also manages tournament poker operations at all Caesars Las Vegas properties as well as special poker events at those locations. In addition, he provides poker support to all Caesars properties including overseeing the WSOP Circuit tour events. On the international front, Jack has served as tournament director of the World Series of Poker Europe since inception in 2007 and added WSOP Asia-Pacific oversight in 2013. With a stellar background in all facets of the game, Effel has been at the center of the poker boom over the last decade. He has continuously innovated new tournament solutions that benefit both players and host properties. These innovations include: integrating leading-edge software, managing registration and payouts, creating algorithms that crunch tournament financials and result in more balanced payouts. As the popularity of poker has exploded, Jack has drawn on years of industry experience to advance the game, attract players, and ensure the World Series of Poker maintains an industry-leading position. 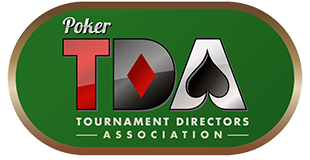 Jack is a long-time advocate of the Poker Tournament Director’s Association. He has twice hosted the TDA Summit at the Rio (in 2009 and 2011), making sure the Association had all necessary support for those historic events. Even though the TDA Summit is scheduled in the middle of his busy WSOP calendar, Jack still makes time to attend each one. “The TDA is unique because every member has one vote. I study the rules proposals carefully and want to make my vote count”, he says. Jack strongly believes that a sensible standardized set of tournament poker rules is good for everyone: players, dealers, floor staff, management, sponsors, and the hosting properties. from Dallas, Texas, he is married with four children and resides in Las Vegas, Nevada. You can follow Jack on Twitter at: https://twitter.com/JackEffel. For more information on the World Series of Poker, please visit: http://www.WSOP.com.